Shin is a dedicated pianist, composer and teacher. Holding a master’s degree and teaching licentiate from the Royal Academy of Music, he has given an eclectic series of performances ranging from solo recitals to film, ballet and theatre collaborations. His education work includes coaching on the Pro Corda Chamber Music Academy where he works as a chamber music and composition coach. He also runs workshops for their special educational needs outreach programme, the recent winners of the National Lottery’s People’s Projects prize. 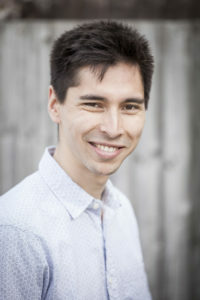 Having gained a first in music and computer science at Sussex University, Shin maintains close links with the institute as a member of their Orchestra of Sound and Light. An ensemble that specialises in bringing classical music education to schools from primary to 6th form level. Shin’s pupils have enjoyed success at the piano, many of whom achieve distinction in ABRSM exams at an early age with others reaching DipABRSM standard and have gone into further study at music conservatoire. Lessons are always fun and energetic, with a large focus placed on music making and narrative, rather than technique alone. Communication is key in music, and each lesson addresses this with full enthusiasm. Rachmaninov Piano Concert no.3 is the piece that made me want to learn the piano.